After buying any smartphone, most of the people will look for a smartphone case that will protect their phone and looks stylish. When you buy a high-end Samsung Galaxy S8 and S8 plus, then you must want a phone case that will prevent your phone or phone screen when it falls down, and looks stylish. Imagine, if your phone’s massive display with a crack, though. Well. I am going to show you some best, stylish and cutest smartphone case, that will not only protect your phone, but as well as looks so nice. So select your favorite case for your Samsung Galaxy S8 and S8 plus smartphones. 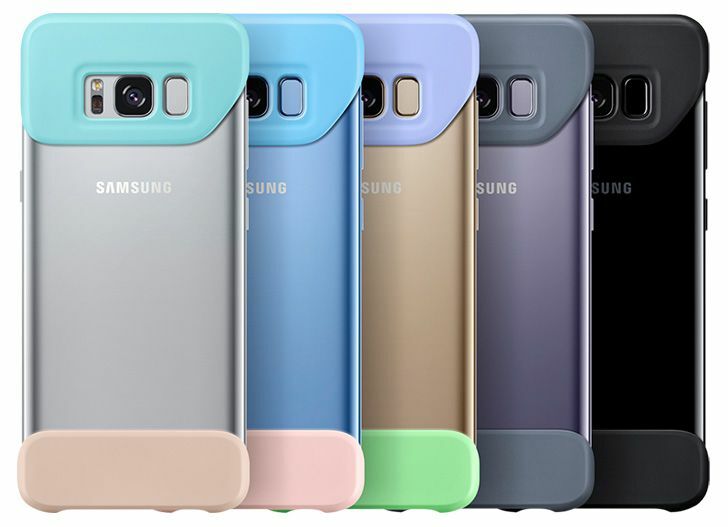 The Samsung 2 Price Cover Case will available for those Samsung Galaxy S8 and S8 plus smartphone. The idea behind to manufacture this case, for protecting corners of your new phone. As the name suggested, it is made up of two pieces, with suction pads, it will attach and detached your phone easily. 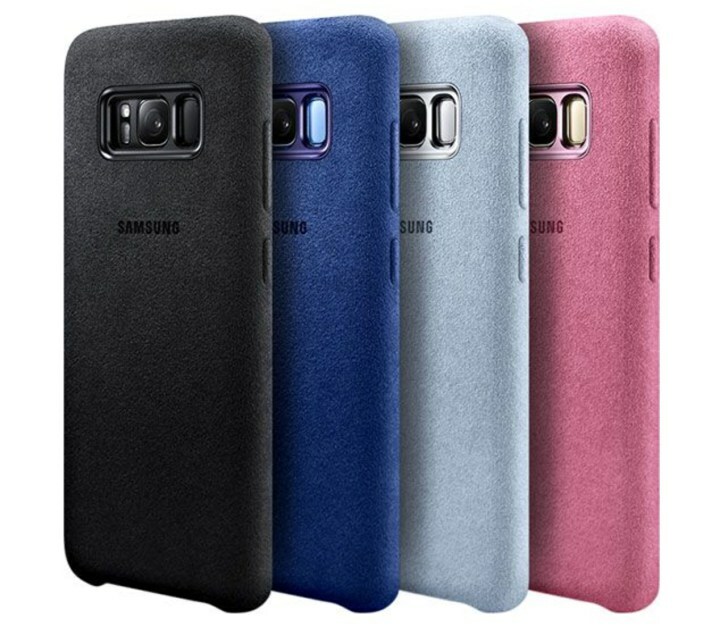 This cover is available in different color options. It costs about £17 and available at Samsung official site. This will also available for both smartphones, the Samsung Galaxy S8 and S8 plus. It is the official case for the company side that comes in a variety of colors. It delivers easy access to all ports and controls, and connectors. The notable thing is that, it is Qi wireless charging compatible. This is a light weighted case, so protect your phone with this light and stylish case, if you like it. It will retail at £44 and you can grab it from the Samsung website. Do you want to take double advantage with one phone? I am showing you a wonderful cover that can turn your Samsung smartphone to Blackberry handset, it is interesting, isn’t it? 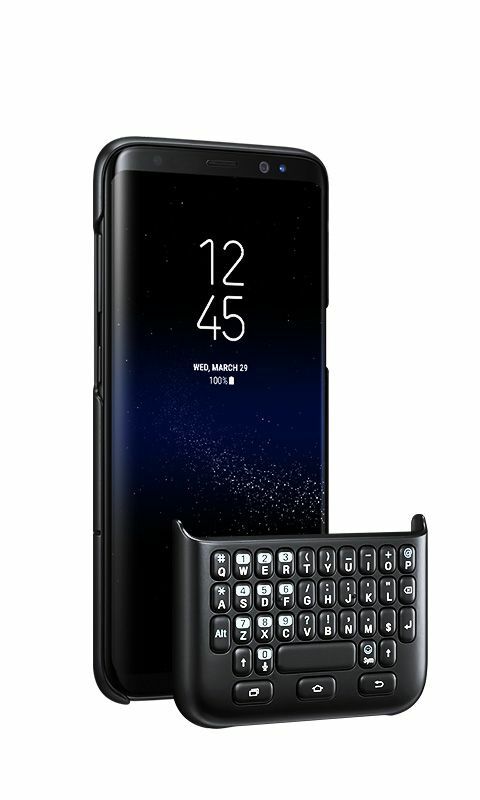 The Samsung company is offering you a Keyboard case for both Samsung Galaxy S8 and S8 Plus smartphone. The case comes with a keyboard, that does not need to charge, just you need to fix it onto your front of the device and start typing. It is available to purchase at Samsung and priced at £49.